Archiv8 is a cloud-based inventory management system built with the expertise of online auction house Paddle8 for the needs of art galleries and institutions. 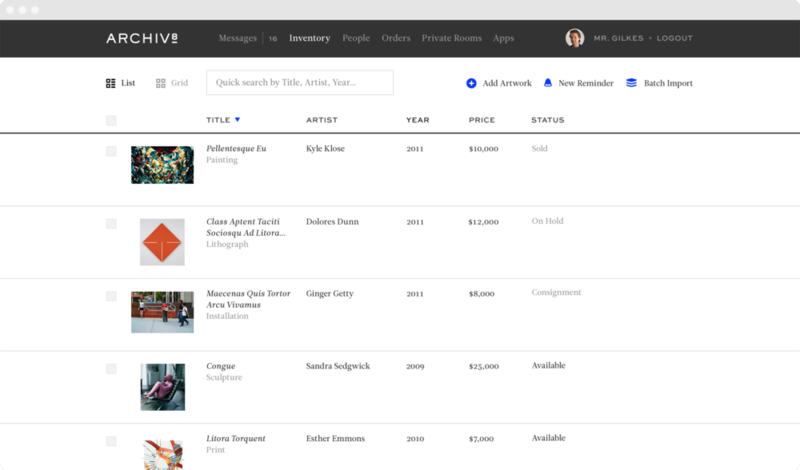 Galleries can catalog their inventory, manage vendor relationships, create orders, calculate shipping logistics, and display works in virtual private collections for specific clients. 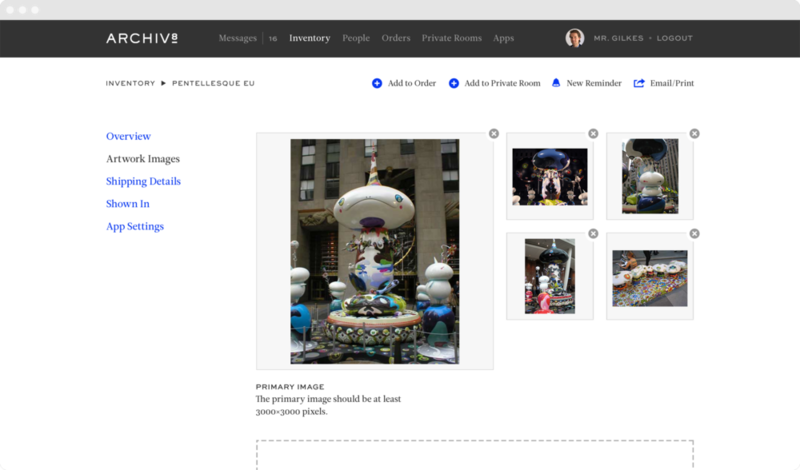 Archiv8’s features are modular and can be customized for each gallery’s needs.